Treating bed bug infestations is very difficult. Insecticides that work for other pests have been found useless, and there isn’t one single bed bug treatment or technique that works effectively across the board for every bed bug case. A combination of techniques should be employed to thoroughly get rid of bed bugs. At Spott Pest Prevention, we’re skilled at taking a thorough approach to your bed bug infestation. We understand the tricky nature of these bugs, and so we approach a bed bug eradication from every angle. First, we make sure we identify the extent of the bed bug infestation in your home. Is it confined to one room, or have the bed bugs migrated throughout your home? This knowledge is crucial to a successful bed bug treatment process, and so we’ll find out before we plan our approach. 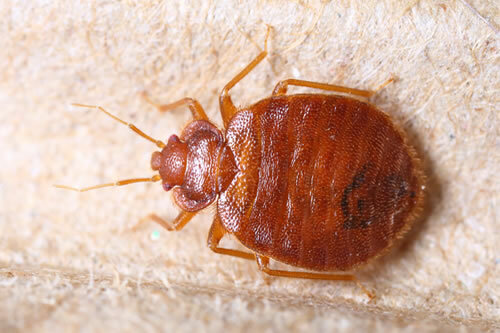 We then use a variety of bed bug treatment methods, including physical prevention, pesticide applications, heat treatment, and fumigation to completely get rid of bed bugs from your home. The methods we choose depend on the severity and location of your bed bug problem, and we may use different methods in different areas. We locate trouble areas where bed bugs could possibly reenter your home and help with bed bug prevention plans such as sealing cracks and windows. And then we provide the ultimate peace of mind by establishing a residual barrier to protect against any emerging bed bug activity. Our process is easier, more successful, and less expensive the earlier we get to the problem. That’s why it’s important for you to contact Spott Pest Prevention as soon as you notice any signs of bed bugs. The earlier bed bugs are detected and addressed, the less invasive the treatment. Because we take such a thorough approach, we’re proud that we can most often completely get rid of bed bugs with just one application. You’ll be thrilled to see results mere hours after we perform the treatment in your home, and we assure you can even sleep bite-free in your bed on the same night of your bed bug treatment. In rare instances, especially when the bed bug infestation has been allowed to persist, additional treatments may be necessary. Fortunately, we’re equipped to handle these situations, and we work until the bed bugs are completely eliminated. You’ll see results in just a few hours after we apply our bed bug treatment, and you’ll be able to sleep in your bed on the same night of treatment. We’re so sure of our treatment that we offer a guarantee of complete eradication of a bed bug infestation. Our complete approach that uses identification, application of kill treatments directly to the bed bugs, and a residual barrier is powerful and effective. You can feel empowered that we’ll eliminate bed bugs in your home, and we’ll provide a speedy and guaranteed response should you encounter any trouble. Not only that, but we employ the happiest staff in the industry. While nobody wants to have a reason to hire a pest control company, we do everything we can to make the process pleasant for you. Fortunately, bed bugs aren’t known to transmit diseases, and while that does provide some level of comfort, it doesn’t really make most people feel better when they know bed bugs are freely crawling around their bed every night. Bed bug bites cause different reactions from person to person, but many people develop itchy, red welts. Some experience swelling as well, and some people are even allergic to bed bugs. You or your children may encounter infections from repeated scratching. There are even certain people who are more at risk for suffering from respiratory issues in relation to a bed bug infestation. Emotional issues are also a very real concern, as bed bugs cause extreme levels of stress, anxiety, and worry. Many people find it hard to feel at ease in their homes when they know they have bed bugs. This can lead to anxiety and trouble sleeping. The sooner you begin bed bug treatments, the more distress you can avoid. Bed bugs are sneaky little creatures. They hitch a ride into your home on luggage, clothing, furniture, and bedding. Their presence has little to do with cleanliness, but if you have a lot of clutter, it will make it harder to treat for bed bugs. You can end up with a bed bug infestation after staying in a hotel, bringing a new piece of furniture into your home, or even housing a guest. The insects hide in small crevices in and around your bed, with their favorite hiding places being behind the headboard, in the seams of your mattress, inside the box spring, behind wallpaper, and along baseboard cracks. Regularly inspecting these areas may give you a clue that you have bed bugs, but remember that these bugs are good at hiding so you may not spot them even when they’re there. That’s why it’s important to seek the help of a professional bed bug exterminator such as Spott Pest Prevention. Other signs that you have bed bugs could be tiny blood spots on your sheets. Or you may find bed bug carcasses or dung in and around your bed. And of course, there are the itchy welts that may pop up on your body. Any one of these signs is enough to immediately call a professional bed bug exterminator in Austin. “Good night. Sleep tight. Don’t let the bed bugs bite.” Your parents probably said this to you as they tucked you into bed as a child, and you just thought it was a funny thing to say at bedtime. And then you grew older and realized that bed bugs are a real thing. And they absolutely do bite. And those bites itch — and even develop into painful rashes. Nothing gets our skin crawling worse than the thought of sharing a bed with tiny armies of bed bugs — crawling across our bodies, and having a nice, leisurely feast on our exposed skin while we blissfully dream, completely unaware. Fortunately, Spott Pest Prevention can begin professional bed bug treatments at the first sign of a bed bug. While you may feel devastated, overwhelmed, squeamish, and even scared at the sight of bed bugs in your bed, you don’t have to let those feelings persist. Spott Pest Prevention is the best bed bug exterminator to completely get rid of bed bugs in your home. Pricing is dependent on the size of your property and on the extent of your bed bug infestation. We try to make things more cost-effective for our customers, and if you already subscribe to a pest or termite prevention service with us, adding a bed bug treatment will be more affordable. You can trust Spott Pest Prevention to completely get rid of bed bugs in your home. We are professional bed bug exterminators with the most effective bed bug treatment. 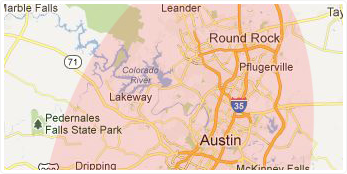 For a free quote, please call us today at (512) 402-7121, or you can also request a free bed bug quote online.